The Empire has better healthcare. 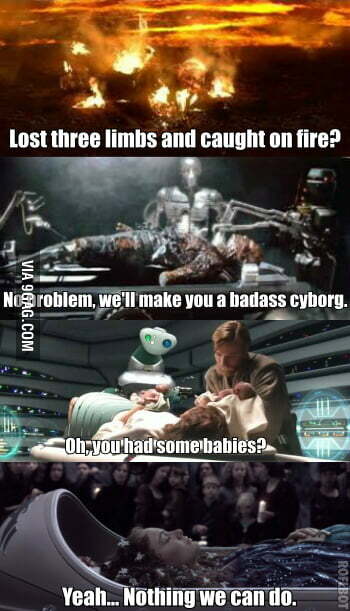 It seems like joining The Empire not only has better healthcare but has bionic replacements for most of the body. Padme had twins born, but nothing they can do to save her life, The Republic just let her die, instead of finding some way to revive her. Just Star Wars things, remember Star Wars is a long time ago in a galaxy far far away, and Star Trek is supposed to be in our future. That is how you can tell them apart.